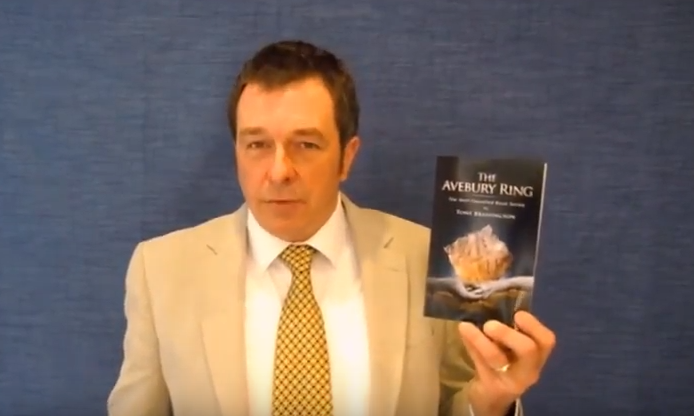 Tony Brassington talks about the first book in -The Well-Travelled Book Series – Amazon book description. Out-of-body experiences? Multiple lives? Eternal soulmates? Simon doesn’t believe in such things, but all that is about to change as Simon embarks upon a huge turning point in his life. Recurring images haunt his mind, and his dreams begin to foretell a future he could not have imagined and a past he has no recollection of. While at the airport about to go on holiday with friends Simon receives an odd phone call from his Grandad, informing him that he expects to die by the following day and he must see him today to share some life changing information with him; leaving Simon with the ultimatum of ‘now or never, Simon, my boy.’, and sending Simon down a completely different road full of unexpected twists and turns. Grandad Ted knows things he shouldn’t about Simon’s private internal world. He speaks of the universe having great plans for Simon, as long as he fulfils three steps prior to being in the exact right place at the exact right time. Easier said than done, when Simon finds himself at a T-junction, giving him a choice of two opposite directions, while not having a clue what he’s supposed to do next.